As our Boston Xarelto injury attorneys understand, Janssen claims their medication is safe and effective despite many known causes of serious bleeding disorders, including intracranial bleeding. Once a patient develops a Xarelto-related bleeding disorder, there is often nothing that can be done at an emergency room to reverse the damage, and, in many cases, patients have died as a result of these serious adverse events. It should be noted that, while there is an antidote for Xarelto being developed, it is still in the testing phase and not yet approved by the United States Food and Drug Administration (FDA) for open market use. According to a recent article from the Madison-St. Clair Record, a 90-count multi-district litigation (MDL) case against the maker or Xarelto has just been removed from state court to federal court. This case was joined with around 250 cases already in federal court. 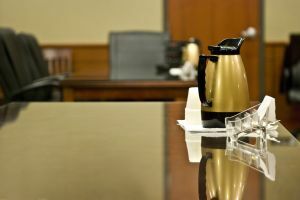 Plaintiff has alleged Xarelto was defectively designed and caused her blood to develop an inability to congeal properly. Specifically, plaintiff alleges, prior to the drug coming to market in 2011, the manufacturer had conducted a number of safety studies, including the Rocket AF study, in which they learned some patients experienced increased internal bleeding for certain sites within the body. Plaintiff says the defendants used the Rocket AF study in their promotion materials to highlight the benefits of Xarelto but did not properly include these bleeding disorders, which were discovered during the study. This claim is based upon failure to warn of a known risk. Failure to warn of a known risk or other dangerous condition is one of the typical claims in a defective drug lawsuit. If the manufacturer knows of a risk to patients, it is their duty to warn doctors and patients in a manner approved by the FDA. This typically involves first disclosing the issue to FDA and working with them to develop an appropriate warning. If the FDA determines the drug must come off market until a particular safety issue can be addressed, manufacturers must comply. However, it is alleged the maker of Xarelto and its marketing partner took steps to hide this information and did not report it to the FDA, so sales would not be harmed. This is one of the many examples where we have seen a pharmaceutical company far more concerned with sales and profits than they are about patient safety.